One of the important additions to the farm stand is the seed sharing area. 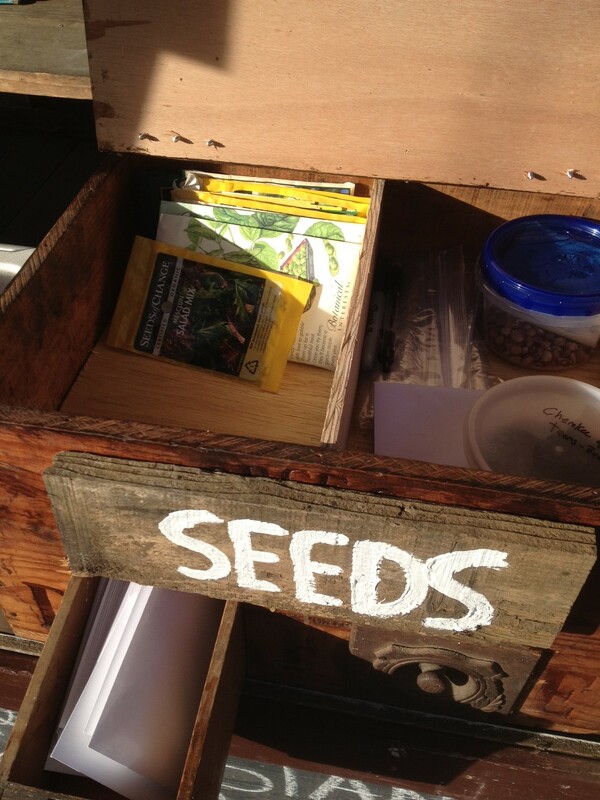 A box was added to the stand where neighbors can share their local harvest seeds to the community. Many of the seeds today are patented and you can not share the seeds that the plants naturally produce and share with your neighbors so they can enjoy the same vegetables too. Assuming you are purchasing the seeds that are heirloom seeds and carefully collect them, you can add them to the Seed Share library box. Folks also use the seed sharing library as a place to share seeds they didn’t get around to planting and allow someone else to use the seeds before they expire. This was inspired by other seed libraries available at your local public libraries. Check out the Santa Clara Public Library seed library program for more details.